See photos of beautiful custom window treatments and soft furnishings, all made to perfectly fit each client’s home and personal style. Thank you for your interest. 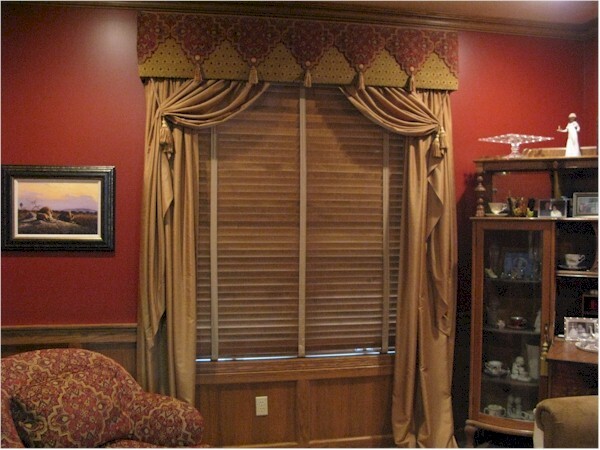 Custom drapery panels add warmth and dramatic effect to a plain window. And expertly placed swags draw your attention to the architectural elements of an arch window. Take a peek at a sampling of our clients’ beautiful combination treatments. If you’d like, browse a little more to see the before and after photos to view the stunning transformation a creative design can make. An artistically crafted topper will add character and the finishing touch to any room. 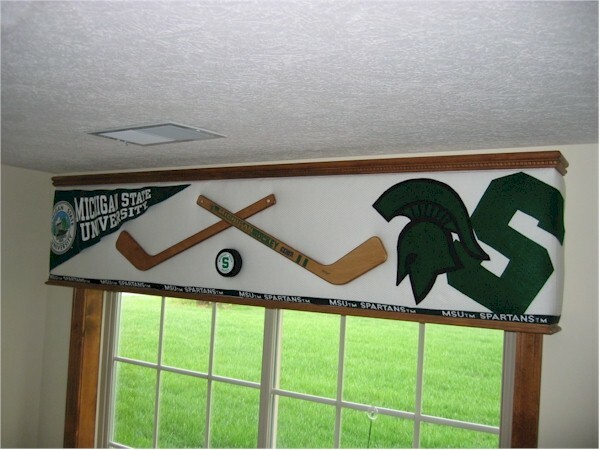 Whether you’re considering a valance, cornice, swags, or fabric shades, each one has the versatility to dress a kitchen, dining room, office, den, or bedroom window. 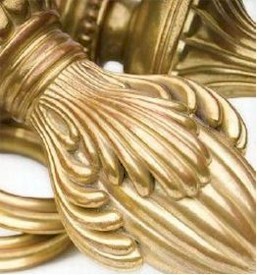 Selecting unique trim or decorative hardware can elevate an otherwise ordinary top treatment to an extraordinary design. 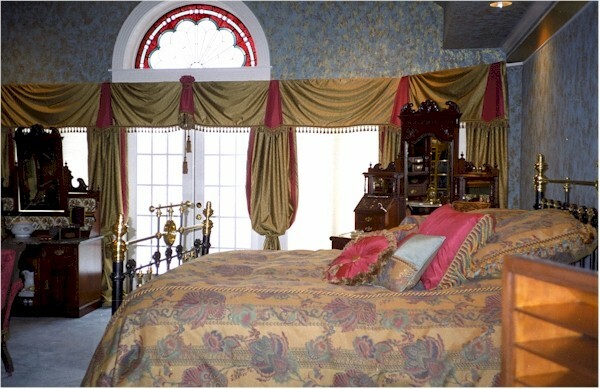 Make your bedroom a personal sanctuary, a place to relax and feel wrapped in luxury. Start with colors that soothe and fabrics you love to touch. Create a haven with an inviting bedding ensemble and luxurious yet functional window treatments. Finish it off with an overstuffed lounge chair and a custom designed upholstered bench. A well-thought plan, implemented at once or in several phases, will save you valuable time and money in the end, giving you beautiful results you will enjoy for years. Whether it is new construction, remodeling, or redesigning one room, we can help you coordinate all aspects from carpet to paint to furniture to blinds and window treatments. View gorgeous passementeries in opulent colors and unique yet timeless styling to inspire you for your next interior design project. Water gilded forged wrought iron. Sleek stainless steel rods and finials. Hand carved wood finials and poles. 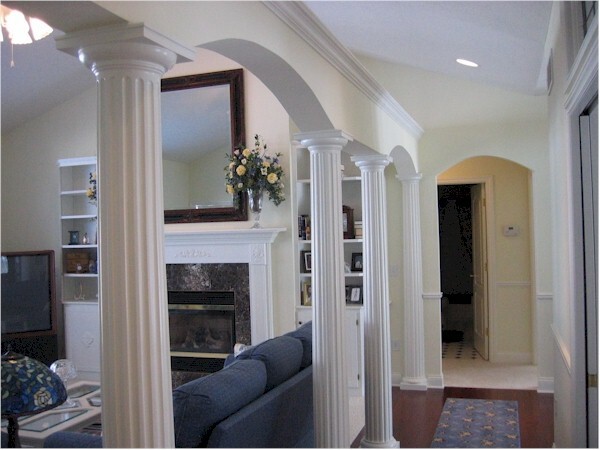 Custom painted crowns, pediments, and medallions. These are the exquisite details that lead to one-of-a-kind masterpieces.